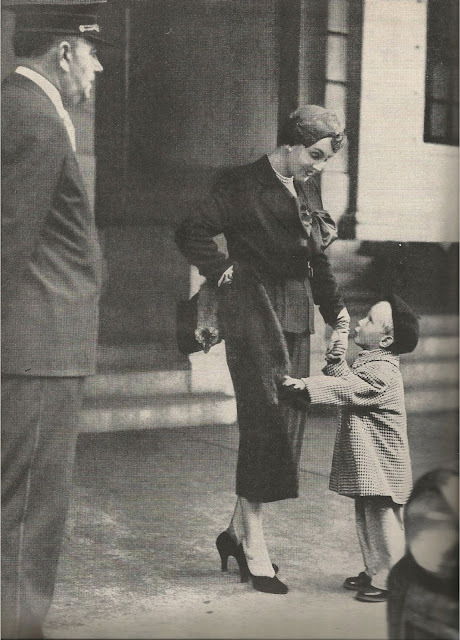 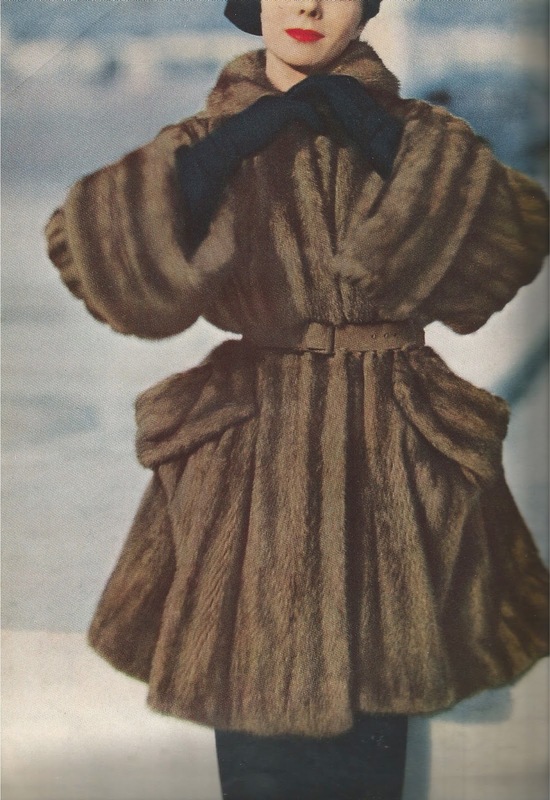 Day-with-the-grandson costume by Fred Greenberg - feather toque, long gloves, sables, cultured pearls. 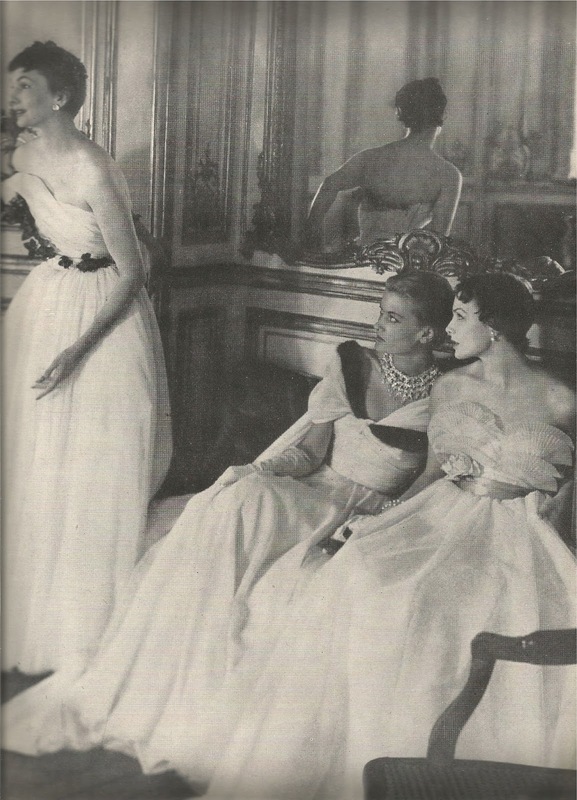 Spectacular: The bold, bare, short evening dress with pailletted bodice, tulle tunic, vamp skirt. 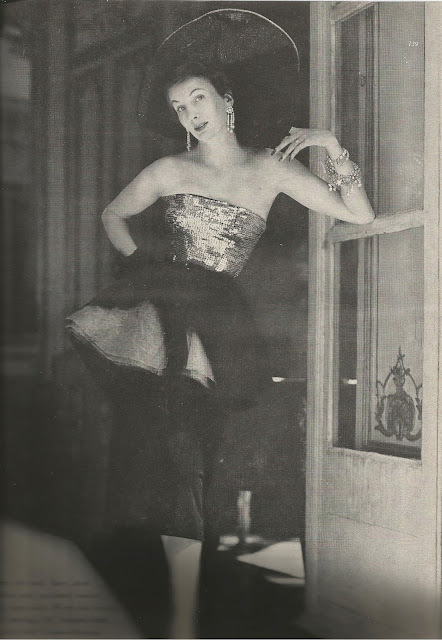 Worn with a hat and chandelier earrings. 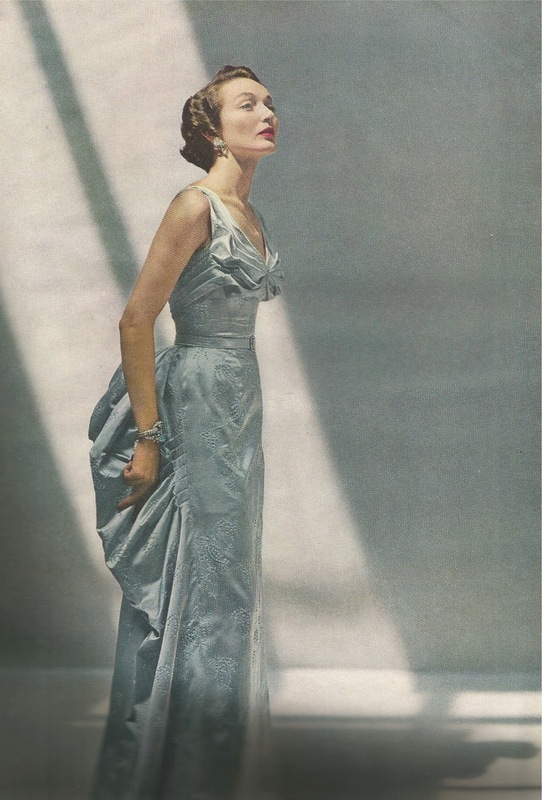 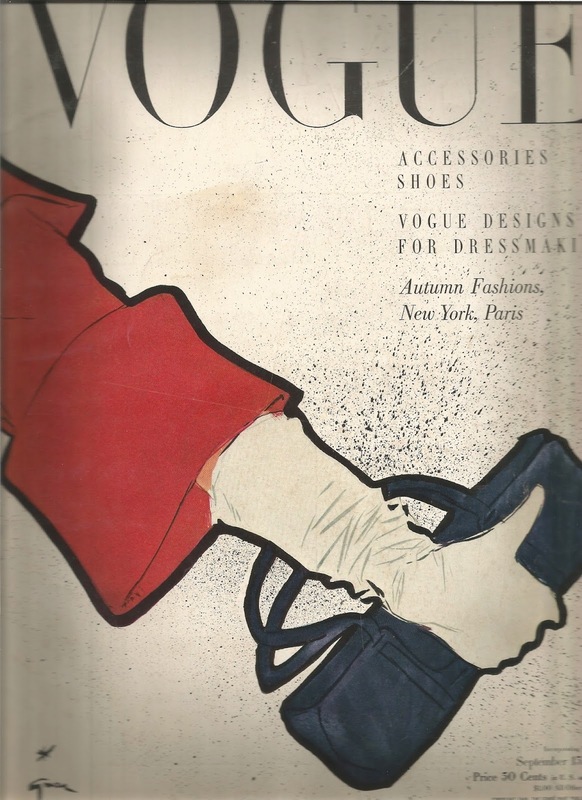 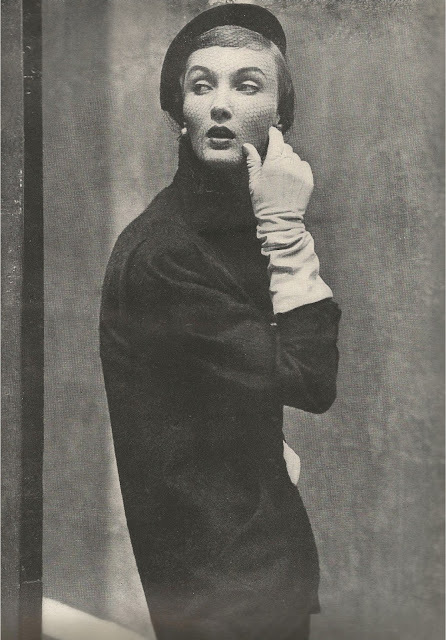 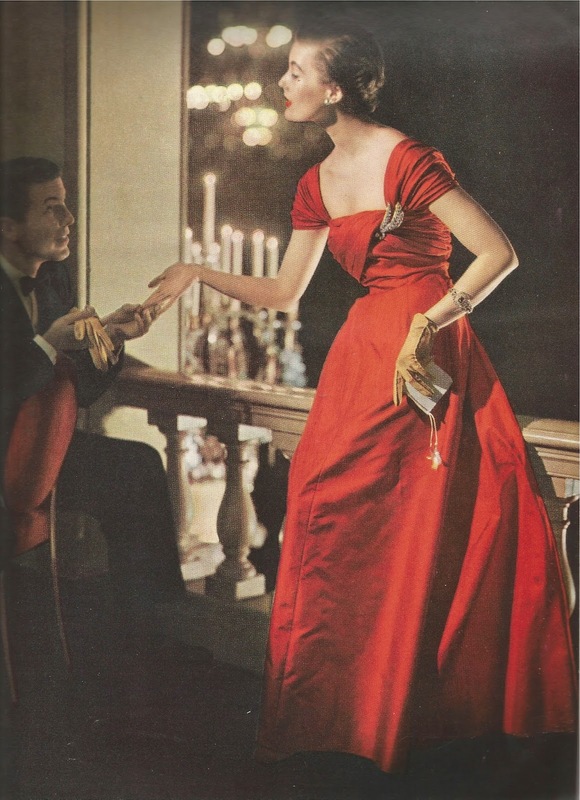 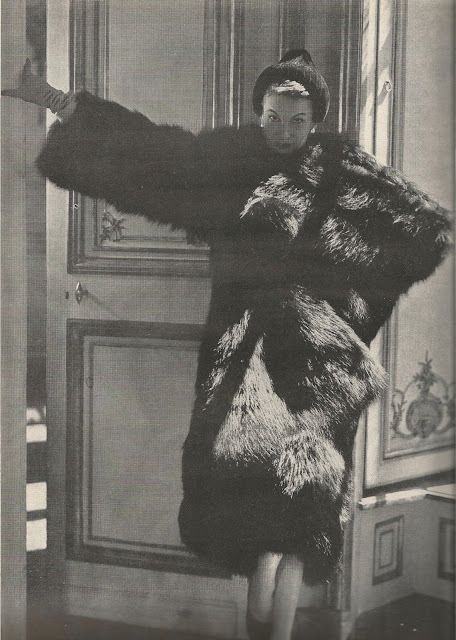 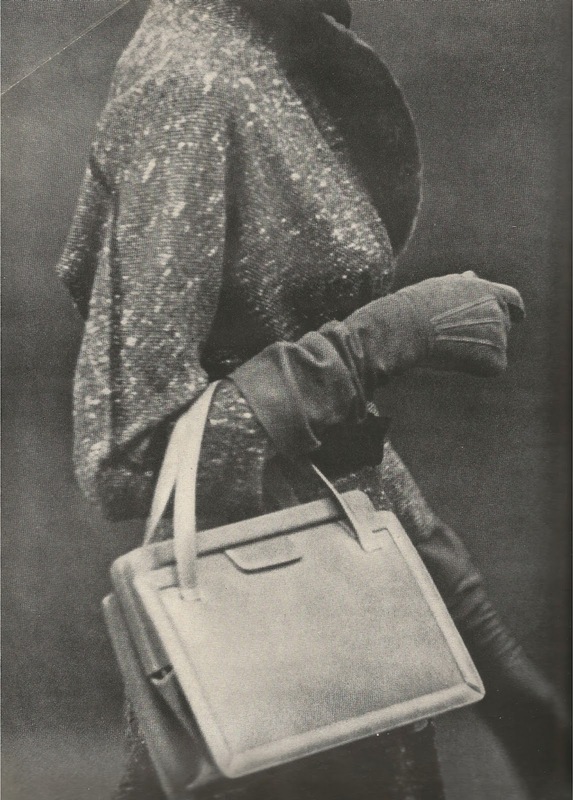 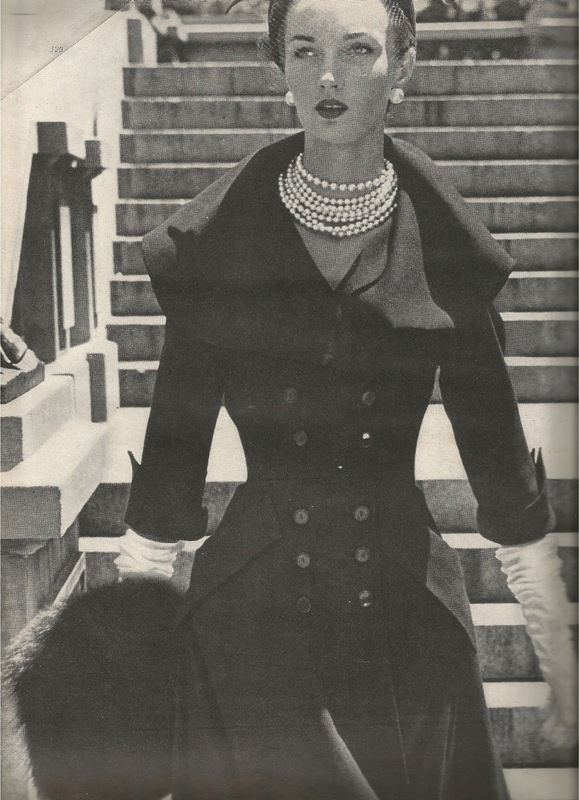 Jacques Fath, winner of the 1949 Neiman Marcus fashion award.